Depending on how seriously it took localisation, in 10 years the motor industry in South Africa could be employing either 35,000 or 180,000 people, analyst Justin Barnes said in a report in Business Day. The future of the industry was not at risk, he said. The only question was whether it turned into a true manufacturing industry or one that simply assembled parts. Motor companies and their components suppliers had to work harder to increase local content in vehicles made in South Africa, or sacrifice jobs, skills and technology transfer. Prof Barnes, one of the architects of the government-led automotive production and development programme, was speaking at an automotive localisation indaba in Durban. Describing the motor industry as the “golden nugget” of South African manufacturing, he said average local content in cars and light commercial vehicles made in South Africa grew marginally to 41.5% last year, from 41.0% in 2013. Using the definition of local content as the vehicle wholesale price less total imported content, he said R47.1 billion of local components were built into vehicles last year. With an average vehicle value of R212,889.00 that worked out to R88,316.00 worth of homegrown parts. This is well short of the industry’s target of 70%. 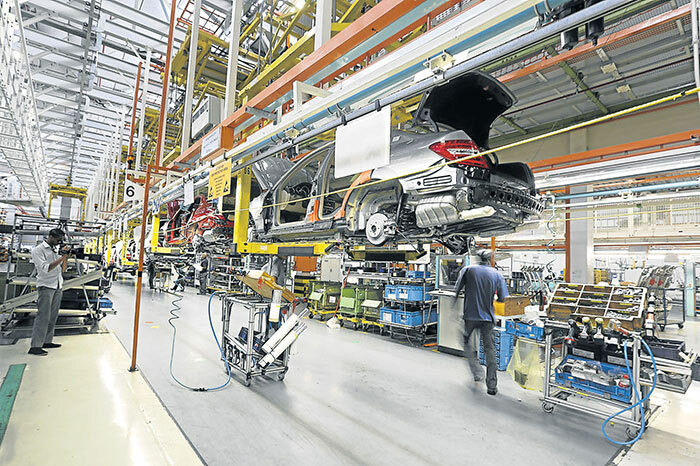 One of the cornerstones of the 2013-2020 automotive production and development programme is to incentivise more investment in the local supply industry. The Department of Trade and Industry is expected to announce extra incentives soon as the result of a review of the programme. Many of the parts in South African-built vehicles are wholly imported or contain imported materials. Prof Barnes, chairman of B&M Analysts, said sectors increasing their contribution included plastic mouldings, trims and harnesses. Losers included foundries and forges — meaning more steel parts were coming from overseas. There were three employment scenarios in 2025, based on current annual production. Existing local content, at 41%, would provide 60,000 jobs. A decline to 30% would bring it down to 35,000 to 45,000, and 70% would increase employment to between 150,000 and 180,000.